These Toyota lease deals are happening right now! Drive away in a brand new 2016 Corolla LE for just $159 per month. Reliable, economical, and practical; the 2016 Corolla offers user-friendly controls, great ride quality, and a nice standard equipment package that includes all of the essentials. This small sedan gets great reviews, and it presents a great value. Over 90% of all Toyota Corollas sold since 2006 are still on the road, and the 2016 Corolla was recently awarded Kelley Blue Book’s coveted 5-year Cost To Own Award. The 2016 Corolla also earned a 5-Star overall safety rating from the NHTSA, and was named a Best Buy Award finalist by Kelley Blue Book. Treat yourself to a gorgeous 2016 Camry SE for just $199 per month. The V6 engine, user-friendly controls, and spacious interior make the 2016 Camry SE a sought-after family-sized sedan. Improved handling and cabin improvements are much appreciated among fans of this best-selling Toyota vehicle. The Camry is the best-selling car in America for 18 of the past 19 years. It was named Best Midsize Car for the Money by U.S. News & World Report, and is also recognized as a Best Buy Award Finalist by Kelley Blue Book. A shining star of reliability, over 90% of Camrys sold in the past ten years are still on the road, today. Camry is also has a 5-Star overall safety rating from the NHTSA. 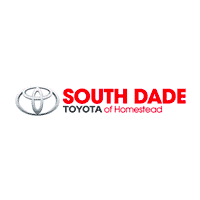 It’s ToyotaTime here at South Dade Toyota of Homestead, and getting into a shiny new 2016 Corolla or 2016 Camry has never been easier. Our friendly customer service reps are standing by to fill you in on all of the details about the latest Toyota lease deals, so go ahead and contact us today. 2016 Camry SE model # 2546 MSRP: $26,123. $199.00 per month for 36 months. $2,598 due at signing includes $2,399 down payment and first month’s payment.$22,123 Adjusted Capitalized Cost. With approved credit through Southeast Toyota Finance. Price excludes taxes, tag, title, registration and $899 dealer documentation fee. Offer expires 06/30/2016. 0 comment(s) so far on Great Toyota Lease Deals Are Here: It’s ToyotaTime!